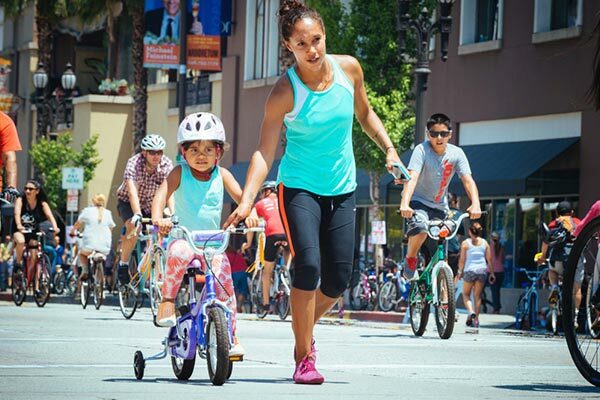 Open Streets initiatives temporarily close streets to automobile traffic and open them to cyclists, pedestrians and other modes of non-motorized transportation. Open Streets have quickly become one of the most innovative advancements in the livable cities movement. They are an increasingly common strategy in regions that are seeking innovative ways to encourage mode shift to sustainable modes of transportation, reduce traffic congestion, achieve economic and public health improvement. Many North American Open Streets initiatives draw inspiration from those held in Central and South America, where they are called “ciclovías.” The term, which translates to English as “bike path,” was coined in Bogotá, Colombia, a city that began experimenting with its model Ciclovía initiative in 1974. 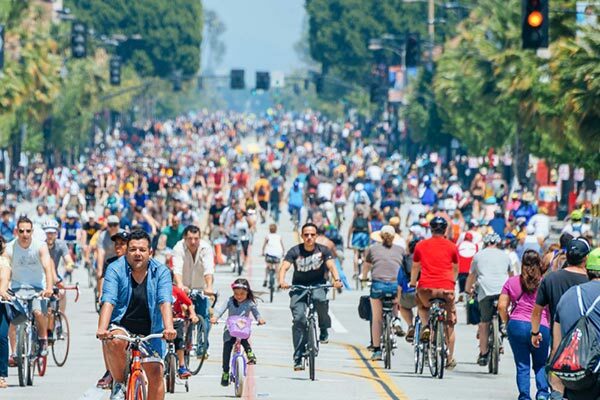 CicLAvia in the city of Los Angeles is a local example of an Open Street event that has been ongoing since 2010. In September 2013 the Metro Board approved the Open Streets Competitive Grant Program framework to fund a series of regional car-free events in response to a June, 2013 Board Motion. The goals of the Open Streets Grant Program is to provide opportunities for 1) riding transit, walking and riding a bike, possibly for the first time, 2) to encourage future mode shift to more sustainable transportation modes, and for 3) civic engagement to foster the development of multi-modal policies and infrastructure at the city/community level. 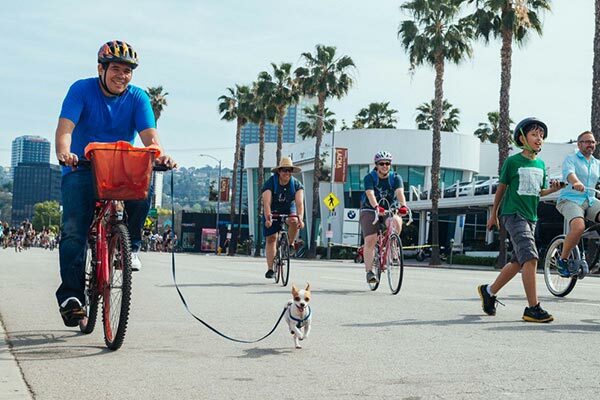 A total of 21 project applications were received, and 12 events were selected for funding based upon a scoring process that considered the events in terms of regionally diversity, connection to transit stations, regional bikeways and major activity centers. Also, you can review the Metro 2014 Open Streets Grant Program Board Report .